Many are concerned over the unethical nature of a “challenge” by religious leaders instructing their congregants to go and “write a positive rating and review” of the Book of Mormon. The challenge does not take into account whether ward members have actually read the book, nor does it suggest that reviewers should leave honest comments reflecting what they actually think about the book. 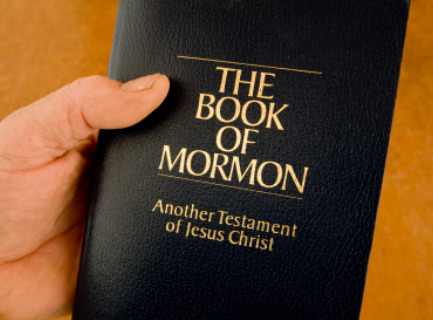 Rather, they are instructed to leave positive ratings and comments and by doing so, their own love and testimony for the Book of Mormon will increase. Considering the instructions given by this Mormon apostle, for Mormons the “challenge” presented to the Provo 9th Ward is not unethical. If Mormon missionaries are supposed to tell people that they know God lives, they know Jesus is the Christ, and they know the restored gospel is true — even when they don’t – what’s the harm in posting positive reviews of the Book of Mormon even if they don’t reflect the reviewers’ actual experiences? Posting potentially fraudulent reviews of the Book of Mormon is, according to the ward “challenge,” a triple gain: The Amazon star-rating of the book will improve, each LDS reviewer will become an online missionary (“every member a missionary”), and each Mormon participant will gain a new and improved testimony that the Book of Mormon is true. It is a dangerous thing to misuse the name of the Lord. Therefore, consider a different challenge: Be honest – with others and with yourself — and “do not believe every spirit, but test the spirits to see whether they are from God, for many false prophets have gone out into the world” (1 John 4:1).